When buying a new house today’s homeowners want to move into a property that is as hassle free as possible. 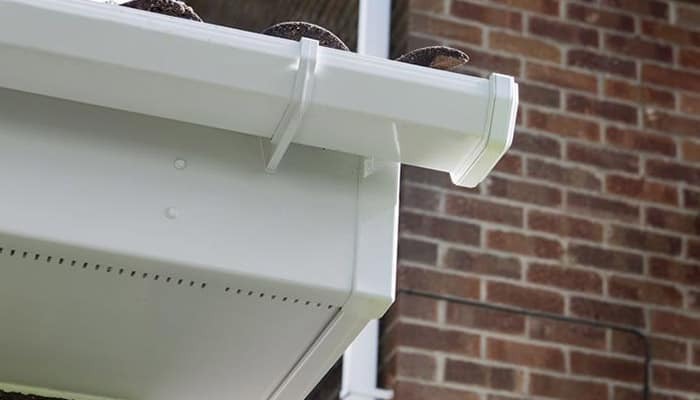 Households are realising the benefits of installing low maintenance fascias, soffits and guttering to their homes. When selling a property first impressions are one of the most important factors to consider. It is therefore very important that potential buyers to your home are not met by rotting fascias and leaking gutters. 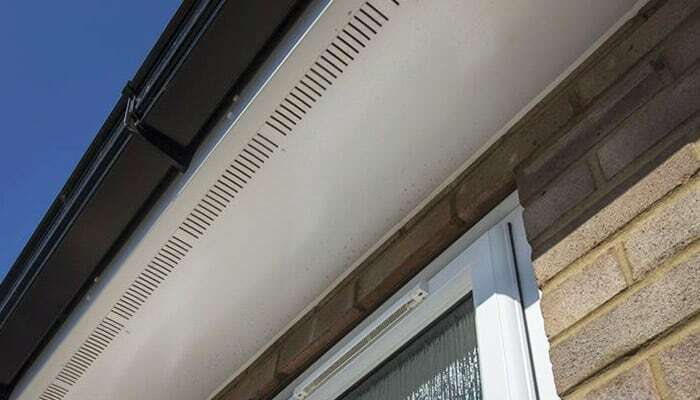 We install fascias soffits and guttering across Eastleigh, Southampton and Winchester using only quality materials manufactured in the UK, for any enquiries regarding our services please contact us today. From the commencement of installation all the agreed existing roofline will be removed. We will take special care to remove the old material in a safe way. Live In Design will not ‘cloakover’ any existing roofline. 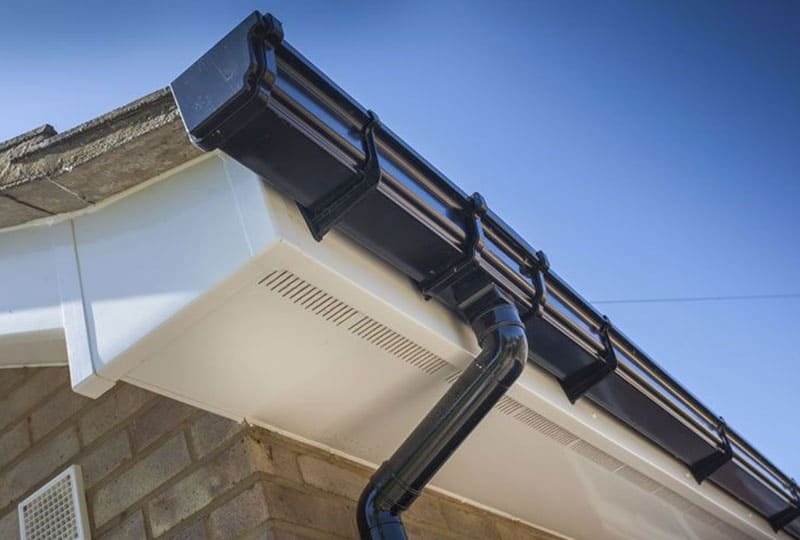 We will completely replace the fascias, soffits, guttering and downpipes to the specified areas in your required colour finish of either black, brown or white. Our installers, based in Winchester, Hampshire and Southampton. You can choose your guttering to be in either Half Round, Square or Deepflow Ogee profiles. In general no under-venting is required, as the replacement eaves tray will provide adequate ventilation to your roof. 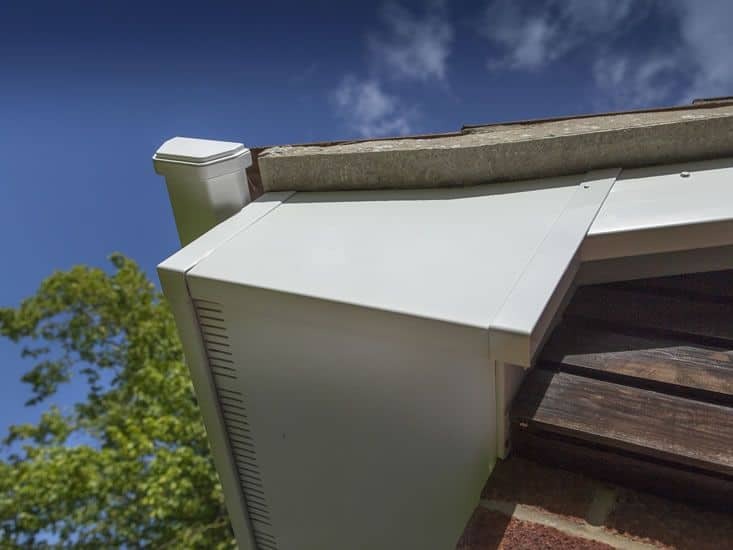 However we will ensure that all of our full replacement roofline installations comply with the latest Building Regulations and we will also ensure staggered vents comply with these regulations but prevent wasps and flies coming into your property. During the course of a typical year in the UK, temperatures fluctuate quite substantially, this will result in expansion and contraction of the PVC-U profile. Live In Design ensure such movements have been taken into consideration and ensure the correct allowances are in place when fitting the profile. Any expansion joints are covered by the specific cover, not joined by silicone. Once the installation has been completed, all debris and waste will be removed from your property. Do you have Asbestos on your property? The dangers of Asbestos have been well documented over the course of the last few years. Many people do not realise that there current fascias or soffits are made of asbestos board. Many Rooftrim installers will simply “cloakover” the existing asbestos boards to literally hide a possible future concern! By choosing Live In Design, you can rest assured that any asbestos identified upon survey shall be disposed of in a safe and secure way. Any minimal costs associated in doing so will be highlighted at survey stage to ensure there are no “hidden” costs associated with your installation. Regularly we see customers who rather than replacing old rotting timber Fascias with UPVC Fascias Boards they have chosen to fit capping boards. Although in the short term this can seem like the cheaper option in reality over-time the problem will only get worse. The rotting wood will continue to deteriorate and eventually the nails will become loose, leaving your Fascias Boards exposed and insecure. Softwood timber is a porous material and once water has breached the outer layer it is only a matter of time before the timber will start to rot. UPVC Roofline Fascias Boards on the other hand will never rot, will never need painting and will not discolour. UPVC Fascias Boards are virtually maintenance free; the occasional clean with warm soapy water will keep them looking good for many years to come.